New for 2019 - 6000 in 1 Arcade Machine added to Game Room! 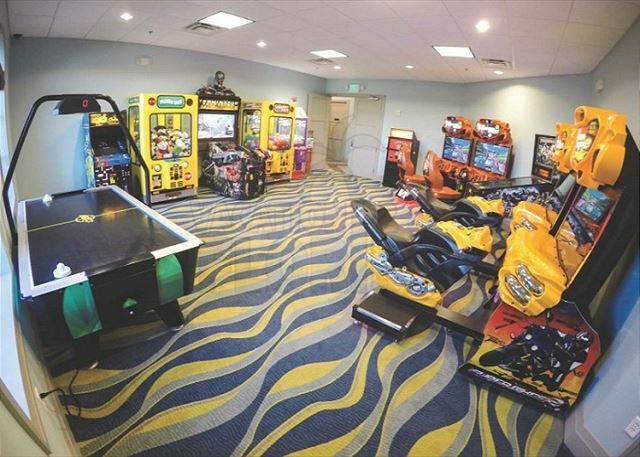 Most arcades in vacation homes here are only 60 in 1. The game room is now fully Air-Conditioned! No more hot summer days where game rooms can't be used! 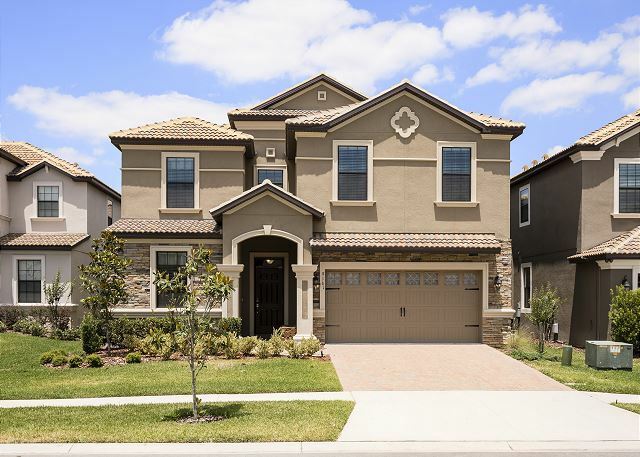 Featuring Superb Design With All The Comforts Of Home, This Luxury Vacation Home Is Presented With 8 Bedrooms And 5 Baths. New for 2016 is the 9 seat home theater with 110" screen and 5.1 surround sound system. 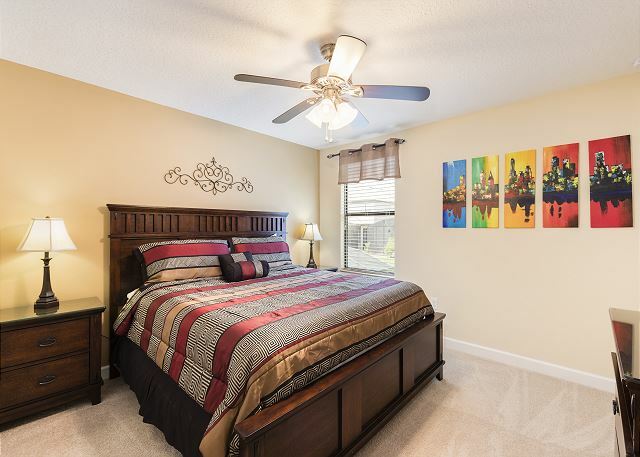 Inside This Vacation Home You Will Find An Open Floor plan, Spacious Rooms That Are Perfect For Multiple Families Seeking The Ultimate Experience. 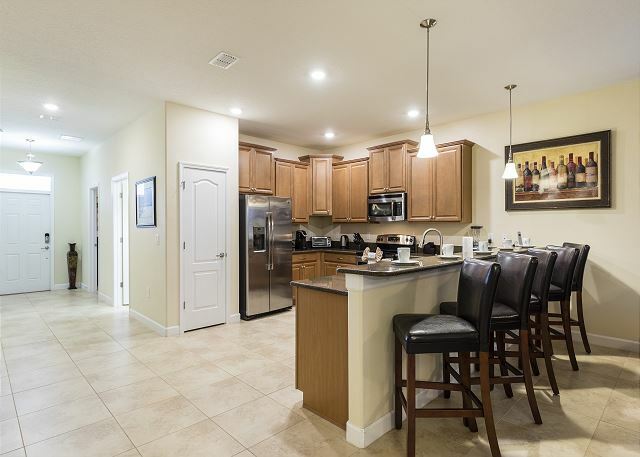 The Full Size Kitchen Caters To Your Needs When Entertaining Guests And Is Open To The Family Room And Dining Room. 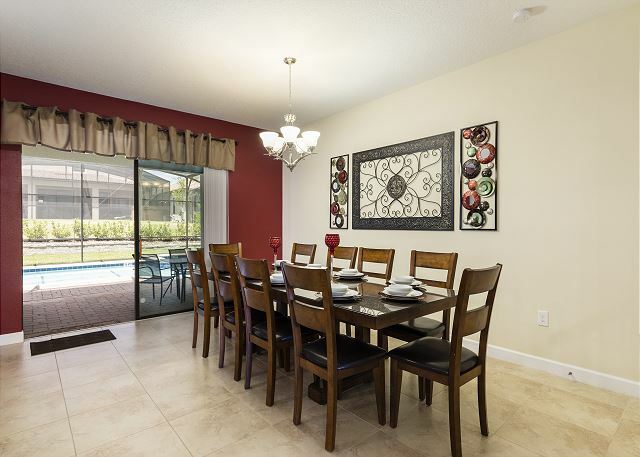 The Formal Dining Area Provides Seating For 10 And The Breakfast Bar Adds 4 Additional Seats. 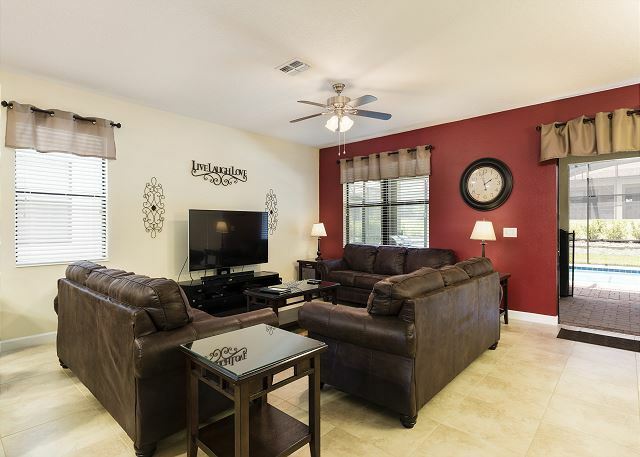 The Family Room Has Leather Seating For 9 and A 65 Inch TV With Surround Sound And Cable . 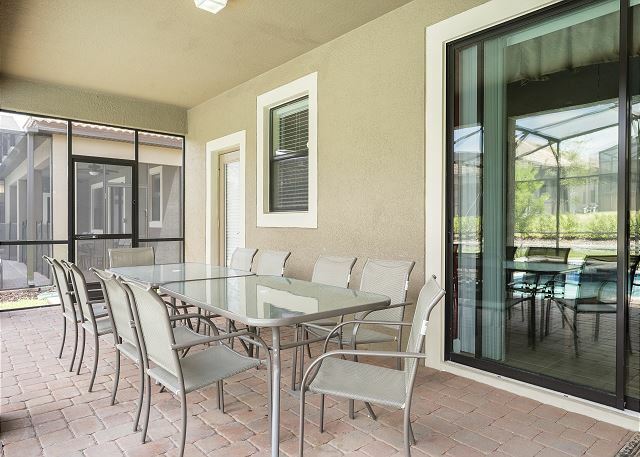 There is Easy Access To The Screened In Patio And Shaded Lanai from the main floor family room and dining area. 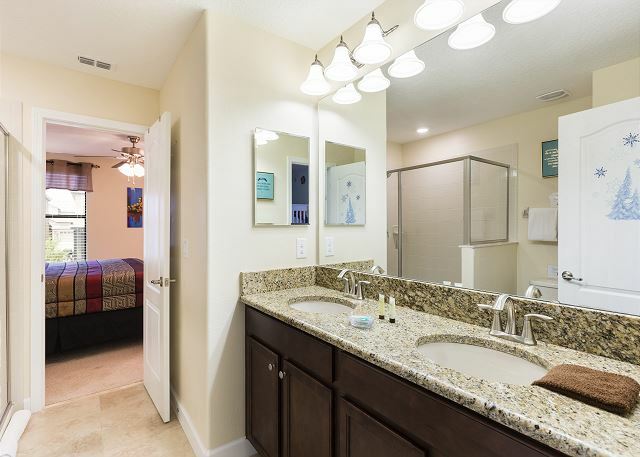 After A Day At The Parks, Relax In The Bubbling Spa And Cook Out On The Free Gas Grill Provided. 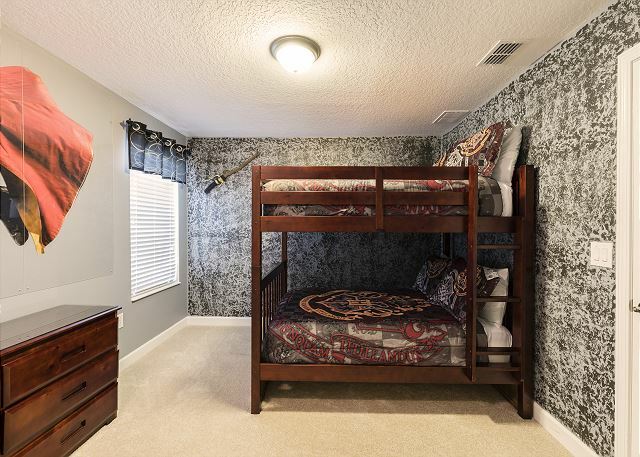 This Home Has Two King Suites With Plush Mattresses And Cable TV Which Complete The First Floor. 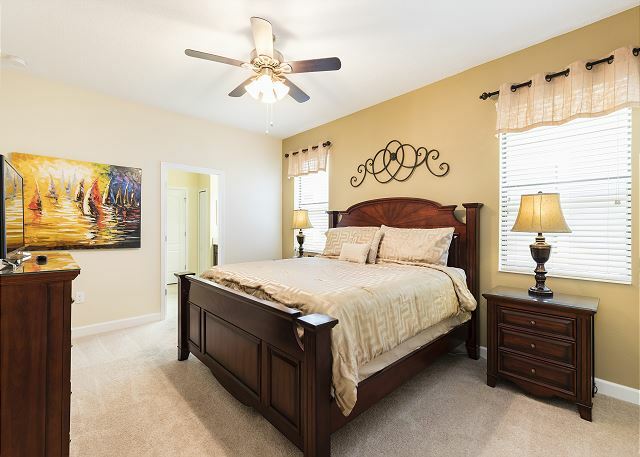 Make Your Way Upstairs To Find The 6 Remaining Bedrooms. 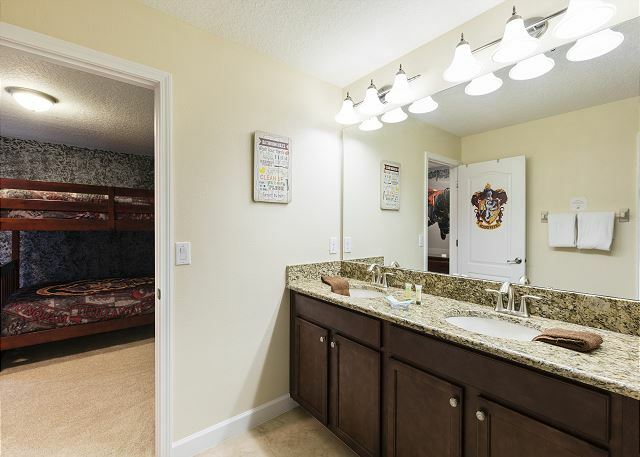 You Will Find 3 King Bedrooms With Cable TV And Pillowtop Mattresses, A Harry Potter Bunk Room And Frozen Bunk Room For Kids. 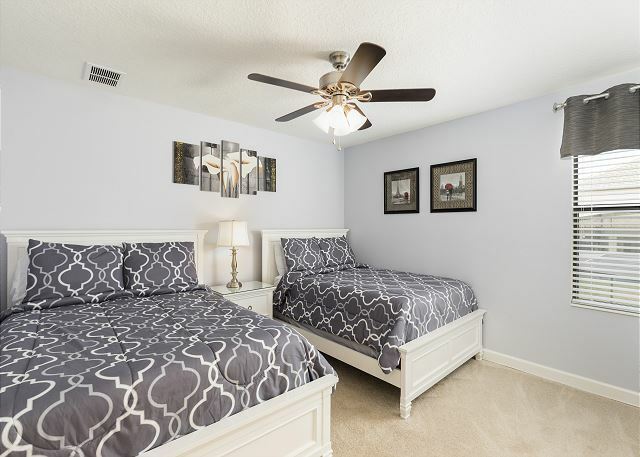 The last bedroom with Two Full Beds is Great For Kids Or In-laws. 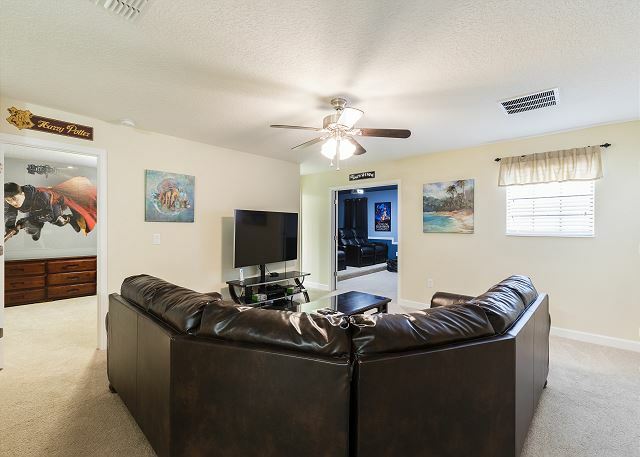 The Mediterranean Fusion Features A Second Family Room upstairs With Leather Seating, A 60" TV , Xbox ONE Video Game System With Game Library, And Blu Ray Player. 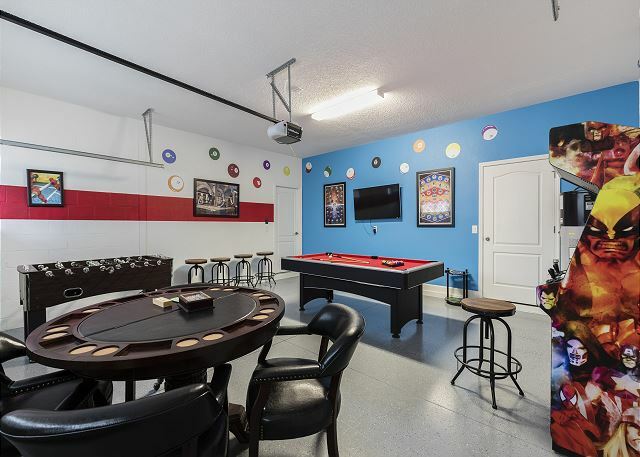 A Bonus game room with billiards, foosball and card table. 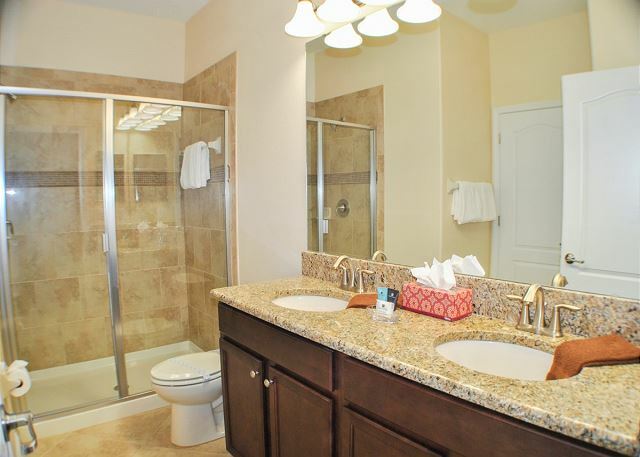 This is a fantastic home loaded with amenities and comforts. 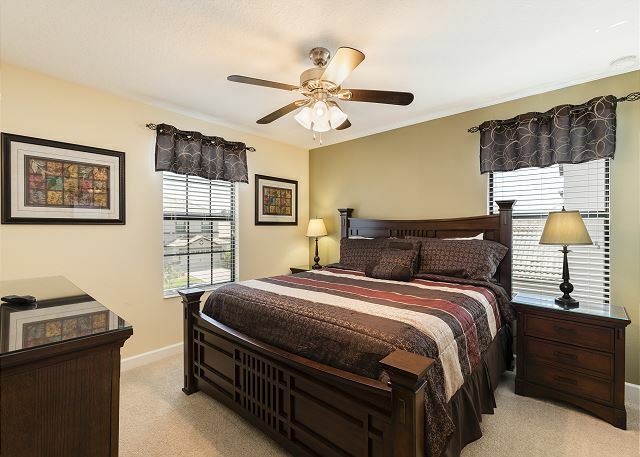 Reserve This Classy Vacation Home Today And Create Lasting Memories For Years To Come! The house was very nice and clean. Had all the ementities of home. Very comfortable. Gaurded & gated community. 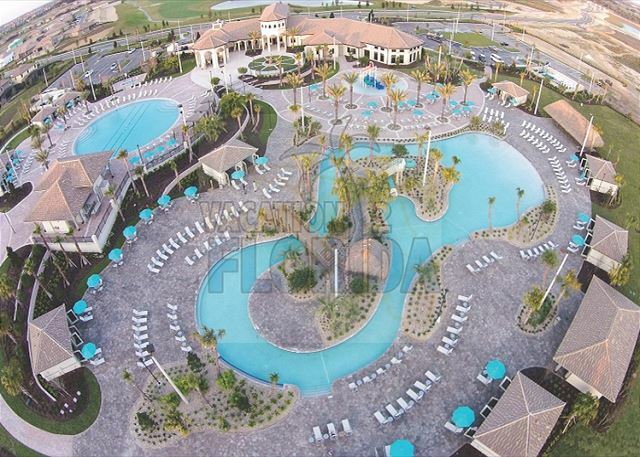 Great water park for the family at the clubhouse. 5 ACCROSS ALL Q . My family had a blast everything was awesome the home was just like the pictures there was more then enough room to accommodate us. I would definitely be staying here again. Looking forward to next year. The house was clean and lots to do for everyone. 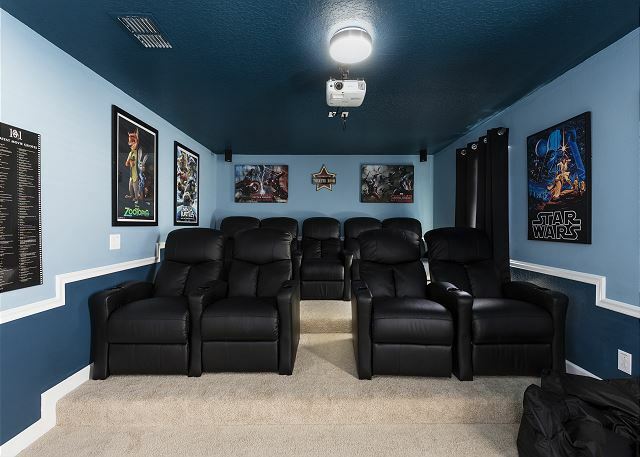 The game room and theater room was awesome for all. Disney World is only about a 15 minute drive. The area was very nice and quiet. We all enjoyed ourselves very much. 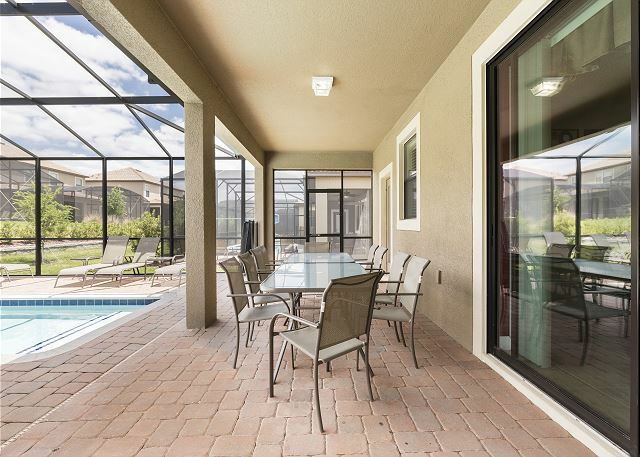 We had a great time at this house, only negative was having to wait 2+ days to get pool heat on since they were closed when we checked in on Saturday night and the emergency contact could not come turn it on until Monday. My family thoroughly enjoyed the time we spent in the house. It was clean and there was enough room to host all 18 of us for the 6 nights we was there, it was just awesome! We will definitely be staying here again when we come back to visit. 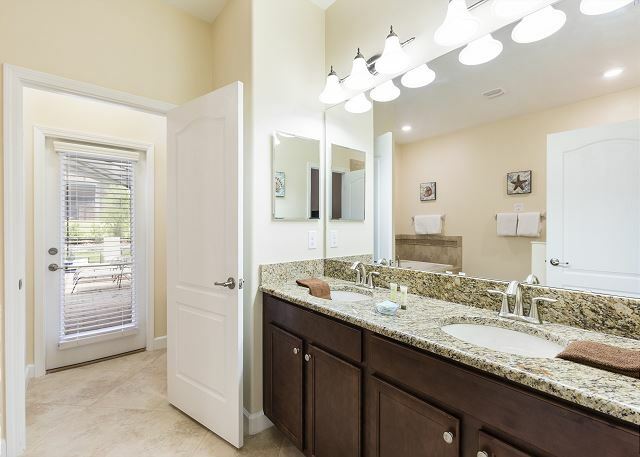 When we first entered the home my family which ages ranged from 3 to 70 were extremely happy with the amenities, space and condition of the home. I am pretty ADD when it comes to cleanliness so I was delighted to see that as well. We rented the home for 6 days and 5 nights. 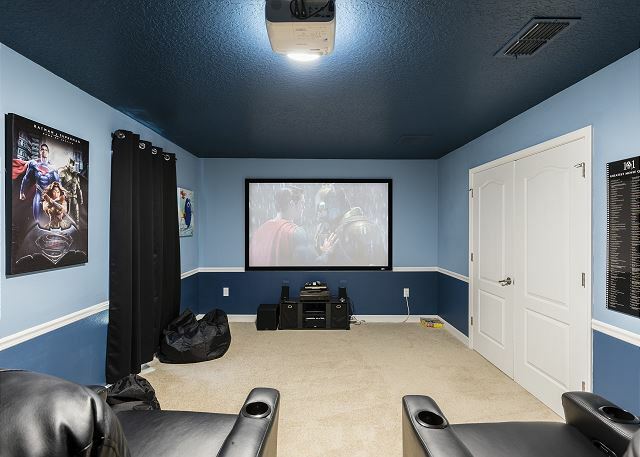 The home has everything you could think of from the pool, video games (Xbox with games), game room and theater room. We really enjoyed the huge screen in the theater room, pool table and the arcade games with over a 100 games on it. (NBA Jams my favorite). 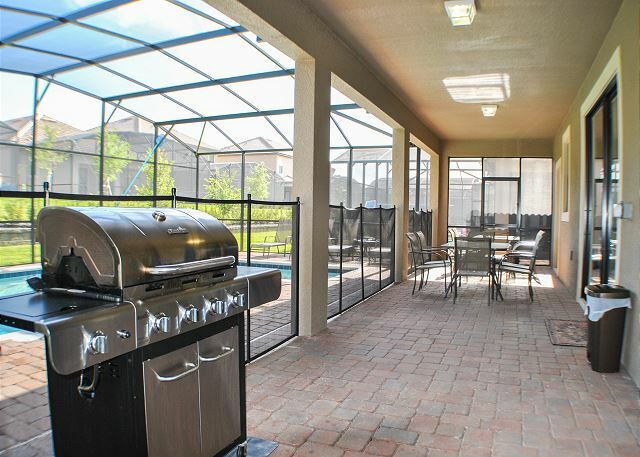 They also provided all you need if you wanted to cook in the kitchen or on the gas grill. The only negative aspect I would say is the AC does not go below 73 which I enjoy my home on the cooler side other than that we had an awesome time. The home was amazing. It was very clean. The property was just as the pictures you see. There were 16 of us and plenty of room for everyone to have their own space. 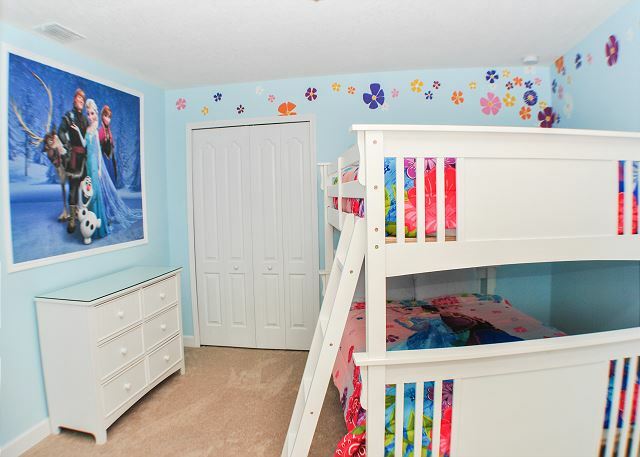 The children enjoyed the Clubhouse and everything the Mediterranean Fusion home had to offer. 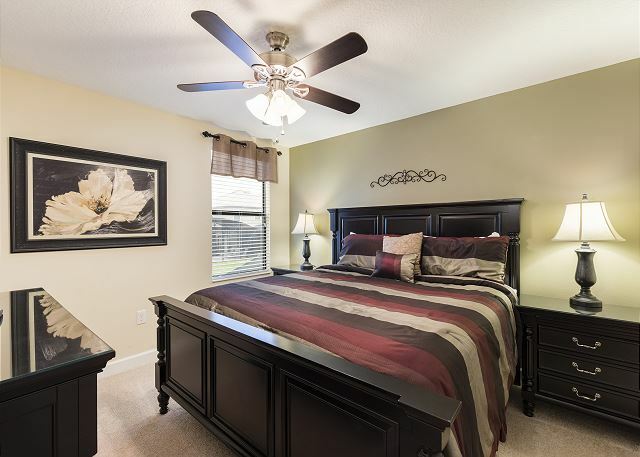 Very satisfied with the home, because last year we were very dissatisfied in another rental. My faith in renting a home away from home has been renewed. Would definitely recommend this home and would definitely stay again. 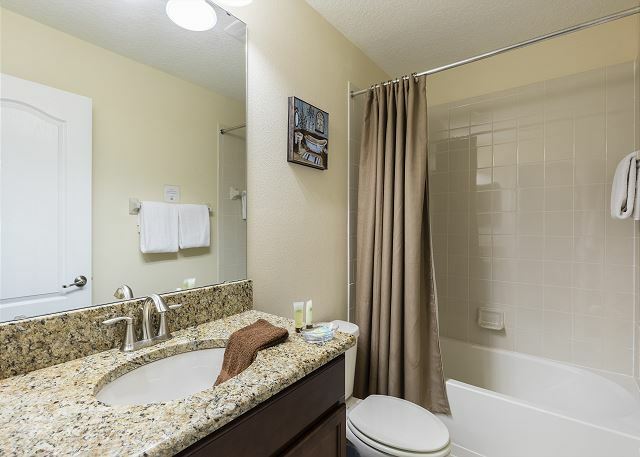 Everything very clean and the house is super comfortable. Was here from 3/29-4/3. 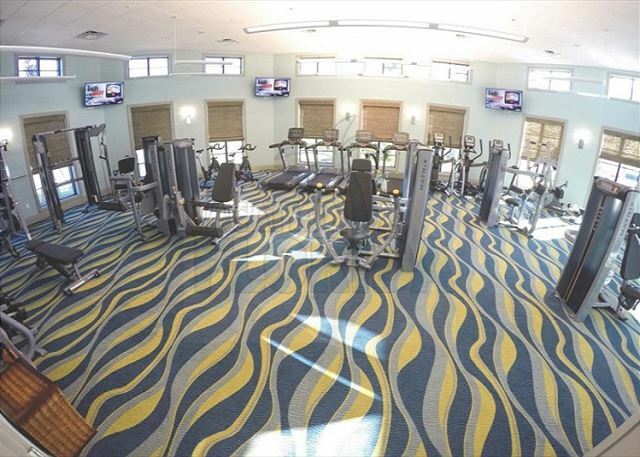 Incredible place with great amenities for my family. Spotlessly clean on arrival. Well furnished with tons of room for multiple families although there was only 7 of us. Between the home theater, game room, pool and jacuzzi, there was plenty to keep us entertained at the house. Would recommend without reservation and would definitely stay here again. This home was AMAZING!! 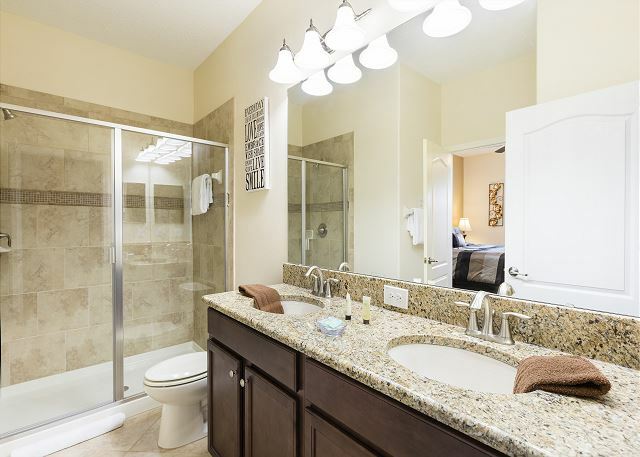 Very clean, beautiful and spacious. 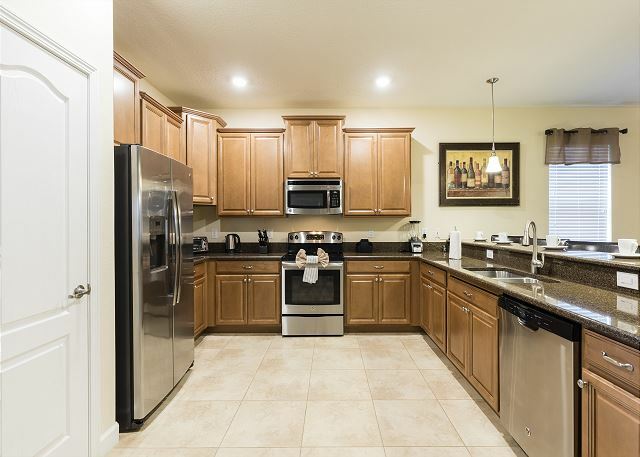 The only downside of this home is that they don't provide any basic condiments (mainly in the kitchen) such as salt, pepper, seasonings, dish soap, dish scrubber, paper towels, etc. 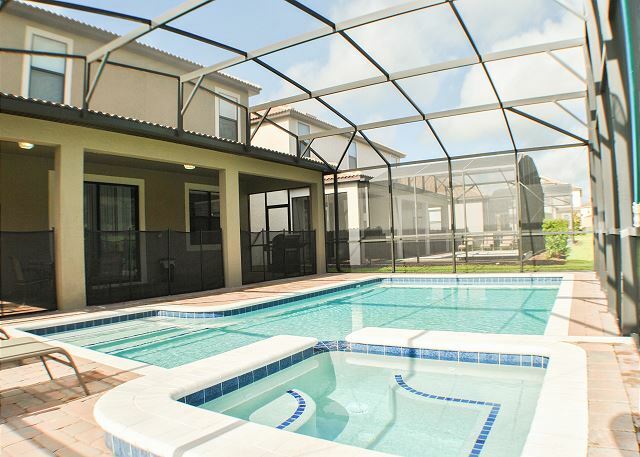 Other than that, it was the best vacation rental experience for our group as first time Florida visitors. Also, the staff at the gated entry of this resort were very welcoming and courteous. Would highly recommend this home. Extremely satisfied family from California :) Thank you!! House was amazing. Facilities were amazing. Had a wonderful stay. Would definitely stay here again.